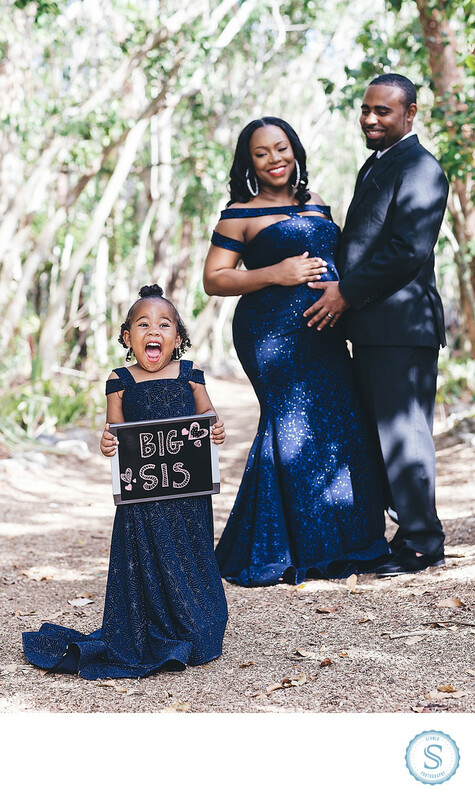 National Trust Bahamas Maternity Photos depicts the true essence of family structure so desperately needed in today's society. This land-marked value, beautifully memorialized in digital art-form. This gorgeous couple, their adorable daughter brought a uniquely refreshing glow to this already scenic gardens of the Bahamas National Trust. The pure innocence of this shot is what really highlights the true joy shared by the family as they prepare to welcome their newest member! Spoiler alert, Its a boy! After spending two effortless hours with these guys; I must note that its families like this one that exemplifies the beauty in wedding photography. They are standing examples of the ultimate goal of marriage and family, which to me, is simply mutual happiness! Location: National Trust Nassau Bahamas. Keywords: African American Wedding Photographer (120), Atlanta Wedding Photographer (348), bahamas wedding photographer (246), black wedding photographer (408), destination wedding photographer (351), miami wedding photographer (423), new york wedding photographer (159), North Carolina Wedding Photographer (120), Santorini Wedding Photographer (120), south florida wedding photographer (192). Filename: National Trust Bahamas Maternity Photos-Edit.jpg.